Previously listed by the Douglas Elliman, the remaining units at 175 West 10th St. are now being sold by Ryan Serhant and his agents at Nest Seekers International. As they celebrated by brining in potential buyers with an Ice Cream social to celebrate the change in seasons and hands. 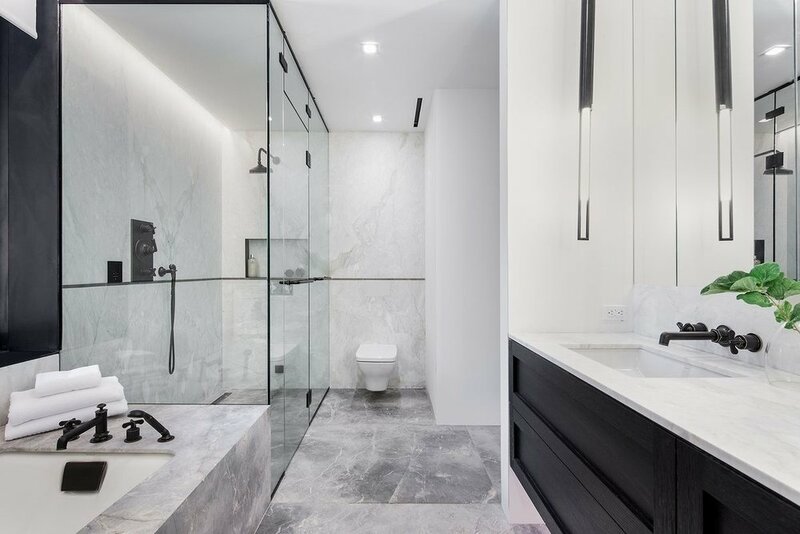 A veritable paragon of urban chic that reimagines the charm and elegance of the West Village through a contemporary lens, this remarkable 3-bedroom, 3.5-bathroom residence is one of four floor-through homes beyond compare. What makes these homes special, what makes them unique, is the coming together of an extraordinary blend of carefully selected elements, creating a masterpiece of luxury attuned to those with a particularly discerning eye. Each feature within this 2700 sq. ft. home—from its diagonally-laid wide plank natural oak floors, thoughtfully placed recessed lighting, and airy ceilings that reach up to 10’’, to a refined collection of elegant finishes and an enchanting solarium with a private balcony—has been meticulously planned and flawlessly executed. The elevator opens directly into your private entry foyer adorned with discretely placed storage closets. Through the foyer, the home unfurls into an entertainer’s paradise, an enormous, open-concept living room, dining room, and kitchen which can be closed off by a custom etched telescopic glass wall. A wall of tall, oversized windows flood the space with natural light, and a powder room with warm tones of Calacatta ivory and waterworks fittings serves the living space just down the hall. 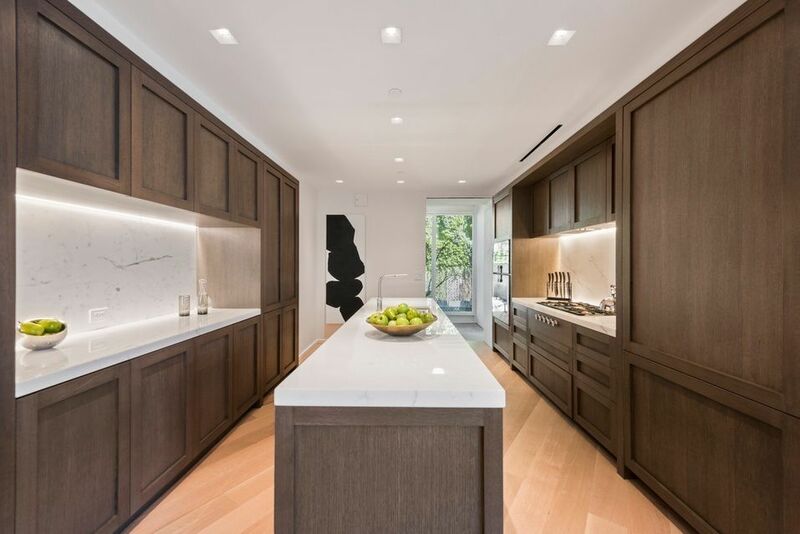 The kitchen, a triumph of modern craft and design, is equipped with bespoke warm-toned oak cabinetry, Calacatta gold marble slab countertops and backsplash, a huge central island, and a suite of high-end Gaggenau appliances. Just off the kitchen is a unique dine-in solarium with stone flooring and direct access to the balcony. Both possess north and west-facing exposures. Wan to be updated on more luxury listings? Completing the home are a trio of warmly-appointed bedrooms. The master suite—conveniently tucked away from the other two bedrooms—is a sanctuary all its own. It is graced with southern and eastern exposure, a massive walk-in closet, and a spa-like, en-suite bathroom with Calacatta crema marble walls, Fior Di Bosco marble floors, bespoke dual-vanity sinks, pendant lighting, radiant heated floors, a glass-enclosed walk-in steam shower, and a separate marble encased soaking tub. The second and third bedrooms lie on the opposite side of the home and both feature eastern exposure, roomy closets, and pristine en-suite bathrooms beautiful marble flooring. 175 West 10th Street is a state-of-the-art boutique condominium nestled within the renowned enclave known as the West Village. The building is surrounded by a multitude of trendy restaurants, bars, cafes, and shops, and is only a few blocks away from both the Hudson River Greenway and Washington Square Park. Ryan Serhant, Charisse White, and Ashlei De Souza at Nest Seekers International are the listing agents. This listing courtesy of Nest Seekers International.